The College’s best ambassadors are its pupils and staff, who will be delighted to welcome prospective pupils and their parents to our Open Day. Victoria College is conveniently located on two campuses between the Lisburn and Malone Roads in South Belfast and is easily accessible by town and country bus routes and via the local railway network. For more information on travelling to Victoria College click here. For vehicular access to the Cranmore campus, we recommend that you direct your sat nav to 60 Marlborough Park South BT9 6HT. 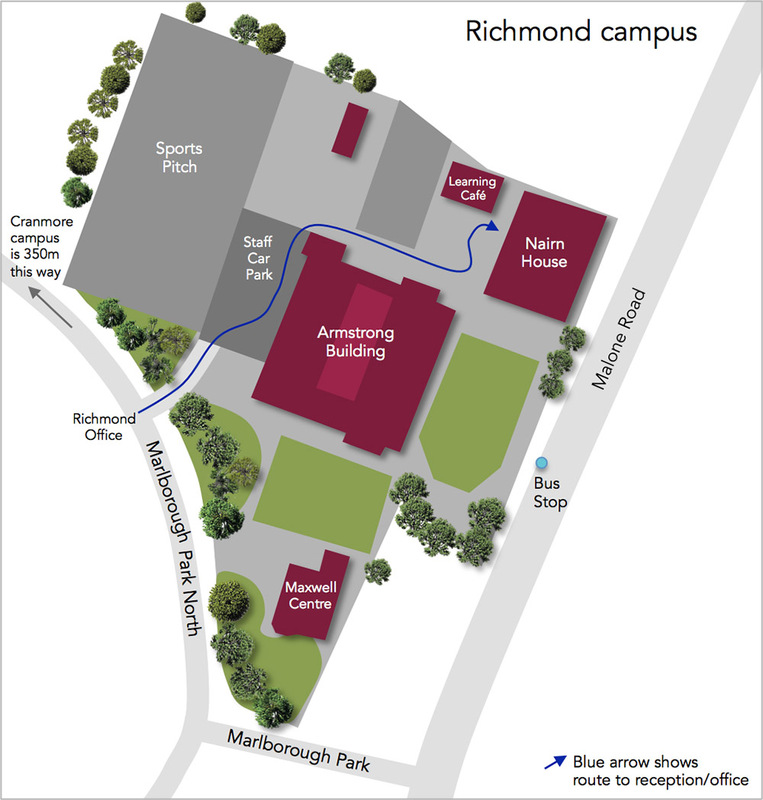 For the Richmond campus use 90 Marlborough Park North BT9 6HL. Click on either Map to enlarge. Take a virtual tour of the two Victoria College campuses. Choose fullscreen for an even better view. Click here to access our virtual tours.